Hello Hello! 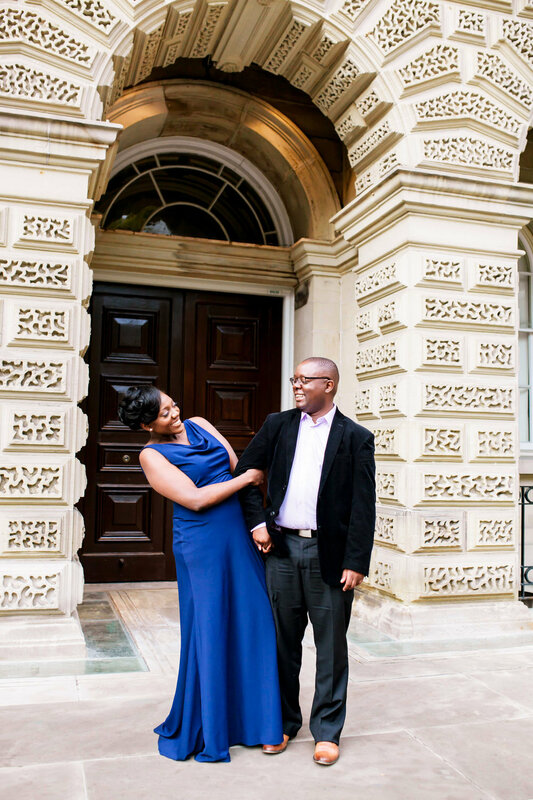 Today's blog post is of an amazing engagement session I got the opportunity to do. A little backstory is that I had met Angela (the bride to be) through a mutual friend about a year earlier and since then she has come to be a big supporter of one of the projects I am currently working on (The BiaSHEara project). 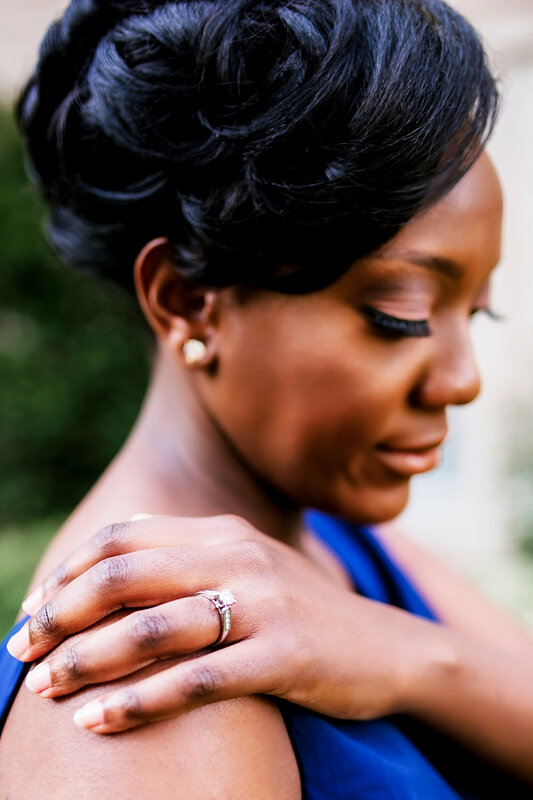 Angela got in touch with me about getting photos done for her recent engagement to her fiance Andrew, and I was super thrilled! The couple live in Ontario but will be getting married abroad in Kenya next year (how exciting!). 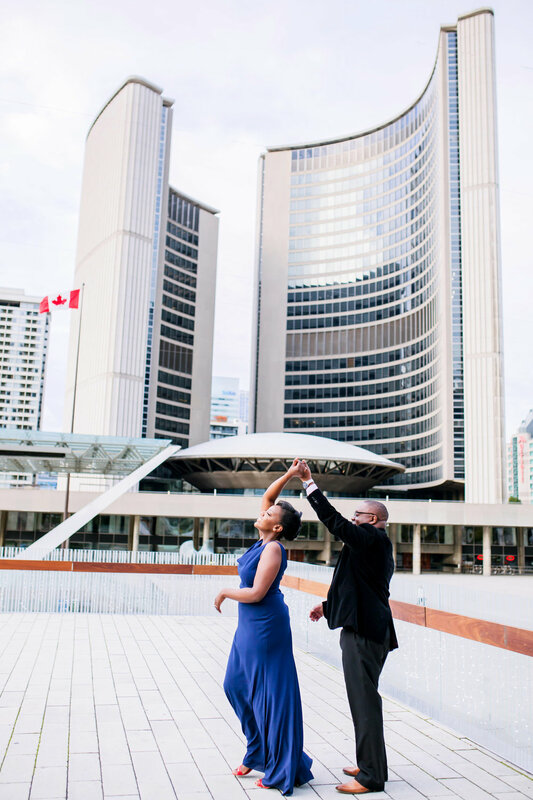 They wanted to do their e-shoot in Toronto and so after a Skype consultation we decided on the beautiful grounds of Osgoode Hall and the adjacent Nathan Phillips Square (because of course we had to get the TORONTO Sign in one of the photos lol). These two are great locations since they are right beside each other and offer tons of variety with regards to the look of the photos. There are so many interesting backgrounds that they can really make the photos pop, as you will see! The session happened in the last few hours of daylight and boy was it super cold on this day! I would like to say a special thank you to the couple for being real troopers and lasting for the entire 2 hour e-shoot session, in what was probably weather that was in the negative digits! Let me say though, that this couple came dressed to impress! I absolutely loved the stunning blue dress that Angela was rocking as well as her lovely updo! Andrew's look complemented Angela's look vey nicely and I also liked that the couple decided to go for a non-matchy look for their session, but rather one that was complimentary of each other! One thing that I Ioved most about this shoot was taking the couple up on the overpass at Nathan Phillips square and having them end off the shoot by dancing to two songs of their choice which ended up being Monica's "Angel of Mine" and a Ugandan Song by Juliana Kanyomozi & Bushoke called Usiende Mbali (This was Andrew's pick). Not so many people seem to go up on the overpass at Nathan Phillip's Square for some reason and so we practically had the whole place to ourselves with all the amazing views of Old City Hall, City Hall and Nathan Phillips Square. I love ending off my e-shoots with capturing a bit of dancing and this location was absolutely beautiful for it! Thank you once again Angela and Andrew for having me capture this special time in your lives! If you would like to book me for your enagagment shoot or 2018 wedding then get in touch HERE! 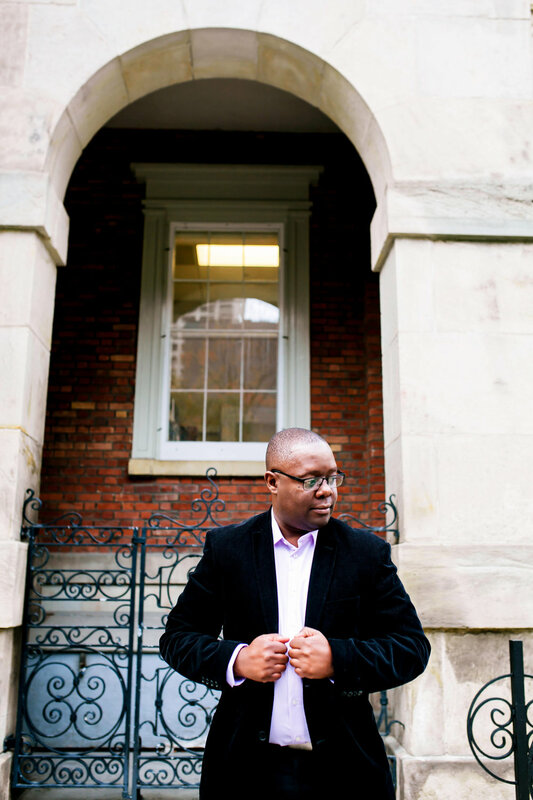 To end off this blog post, I have to say I really enjoyed doing this e-shoot and I hope I get to do more amazing engagement sessions like this one in the New Year! Congratulations once again to the couple!